There is no Christ outside of your own human body. The kingdom of God is within you! The fountain is inside yourself. There is no Christ outside of your own human body. 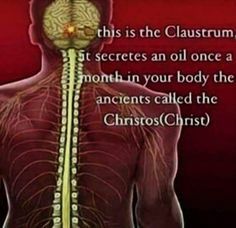 The Christ, Chrism, is an oil that secretes from your pineal and pituitary gland once a month, creating a seed in your solar plexus or manager. It then travels down your spinal column to the sacral plexus. It then rises again, if not destroyed by hard living, to be crucified in the neck (to be amplified 1000X) and lays dormant (dead) for 2.5 days in the Fornax (Tomb). 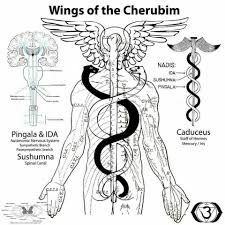 When it emerges it anoints the pineal with it's oil, anoints your head with oil, thus opening a greater channel to health, success and relationship with the Mighty I AM Presence that lives in YOU. Your assertation is more approprietely describing The Buddha. Who, we understand, the man Siddartha became. However, the Jewish born Messiah and Savior, Who was long prophesied through the ages of the ancient writings, collected in the Bible, was an individual, Who suffered for the sin of the whole world, Who rose from the dead, bodily. Which same Individual is returning again. As is also prophesied. At the end of time in this theater and Matrix we call, "The World". The Mathew 24 scripture you cited states that He is returning, "Like the lightning shining from the east to the west". St. Paul, who tells us of his own nde, says more than once that He is returning in the sky, at which point we will all rise to join Him. First the dead, being restored bodily, and then those on earth who remain, also. Jesus is called "the firstfruits", of the "harvest". If you were correct God would be insane--At Revelation 1:1--A revelation of Jesus Christ that God gave to him.-- Does God give things to the air? Same with the trinity If that were real, God would be insane as well At Rev 1:1--Here me have a revelation-- God gave all the ability to reason. I think the meaning the kingdom is within you = ones heart condition. Few have the love Jesus talked of in the new covenant. Its the hardest accomplishment any mortal will achieve in this satan ruled system of things. I hear all say-- I love my family and friends. Jesus taught one must have that love for their enemies as well. 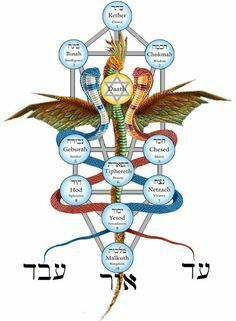 This is something I have known about for a while now - even Santa Claus represents the Santal Claustrum passage (chimney) that the Chrism (Christos in Greek), the pineal gland fluid travels down to leave 'gifts' (sacred energy) at the base of the 'Tree' (Spinal Cord) also called the 'Tree of Life' and also being the same 'Tree' and Serpent (Kundalini) in the Garden of Eden tale...where Adam (Adama) represents the male/positive 'nerve' called Pingala and Eve represents the feminine nerve of "Eva" or "Ida". A thousand or two years ago, the uneducated and illiterate masses could not understand this concept and so, it was all 'personalised' and re-told in parable form so that the sacred knowledge could be remembered and passed down through successive generations...over time, the whole premise of this 'personalisation' was taken absolutely literally and the whole meaning behind this was totally lost to history. The same beliefs goes for theosophical society, Helena blavatsky, and Co.. Even anton la vey claimed much stolen from satanism.. Which later went repackaged as new age.. Look it up.. This is one of the tenets in theosophical society..
Can't have both. Either he died for the sins in body, or he didn't. The mixing of the revelation of God in Christ, and "new age" philosophies is inappropriate. Though certainly there are the mystical aspects of the Faith. Seems today, (and also involving protestant Christianity)... the fallen situation and original sin is left behind, and ignored. What does "the fall" involve? What study today brings out is that the true personage is more than this frail and humble fleshly frame, which abides temporarily, and life... which Jesus stated, is here today and gone tomorrow. "The world" in which we find ourselves also, is fallen and out of sync with ultimate Truth and reality! What? This is very difficult? Do what scripture indicates to us, which also aligns with revelations of science today. Which means this body, evolved through time, is also the illusion. This "world", in which we find ourselves is not to be regarded as primary! What is eternal and abiding is primary. Involving the Spirit, and the angelic. One can see also that the fall of mankind described in Genesis in the Bible, is to be equated with the fall of the angelic, described in the later books of the same Bible. which certain persons here want to tell you is insignificant, and is to be disregarded, in stupid manner and perspective. On the contrary, God who is The Almighty, is Truth. As is His Word, which holds the Truth, and Who Jesus is, made incarnate in the world. ...In which we find ourselves. Last edited by Morpheus : 15-02-2018 at 07:43 PM. which is to say, some patterns aren't single-shot in nature - they are replicated in multiple places.